This is the first post in a series which will discuss spousal support issues that should be considered during and following a divorce. I am writing on this topic because many individuals have mistaken beliefs about spousal support and find themselves deeply disappointed at a later date. Spousal support is one of the most hotly contested issues in any divorce, and also an issue that couples find themselves back in court over once the divorce is finalized. It is my hope that this series will help individuals save time and money, and learn to plan for their future without having to return to court. Can a spouse receiving spousal support ask for additional money as the end of payments near? Will a spouse be required to pay spousal support if they have been married for a significant length of time? Unlike child support, spousal support is completely discretionary, and a Judge is not required to award maintenance or follow any prescribed formula. Guidelines for setting spousal support do exist; for example, the length of the marriage, the employability of each spouse, the education of each spouse, and the length of time one spouse may have been out of the workplace. Judge’s will give special consideration to spouses who left the workplace to take care of the children, who have a disability, or who are of an age that retraining is not feasible. 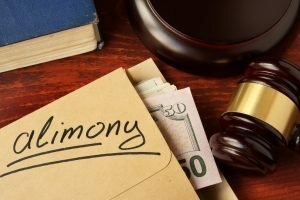 However, spousal support is an area where a Judge has a lot of leeway, and the strength of an attorney’s argument can make a significant difference in whether or not maintenance is awarded, and for how long. If you are going through a divorce, and either are worried about paying spousal support or how much you can receive, it is important to have a strong family law attorney in your corner acting as your advocate. Our Las Vegas family law attorney has years of experience in dealing with spousal support issues. Contact our office today to schedule a consultation.